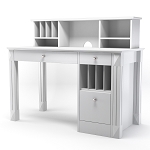 Bring a touch of elegance to any room in the home with this beautiful white wood desk and hutch set. 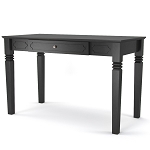 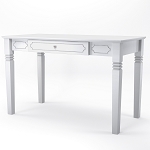 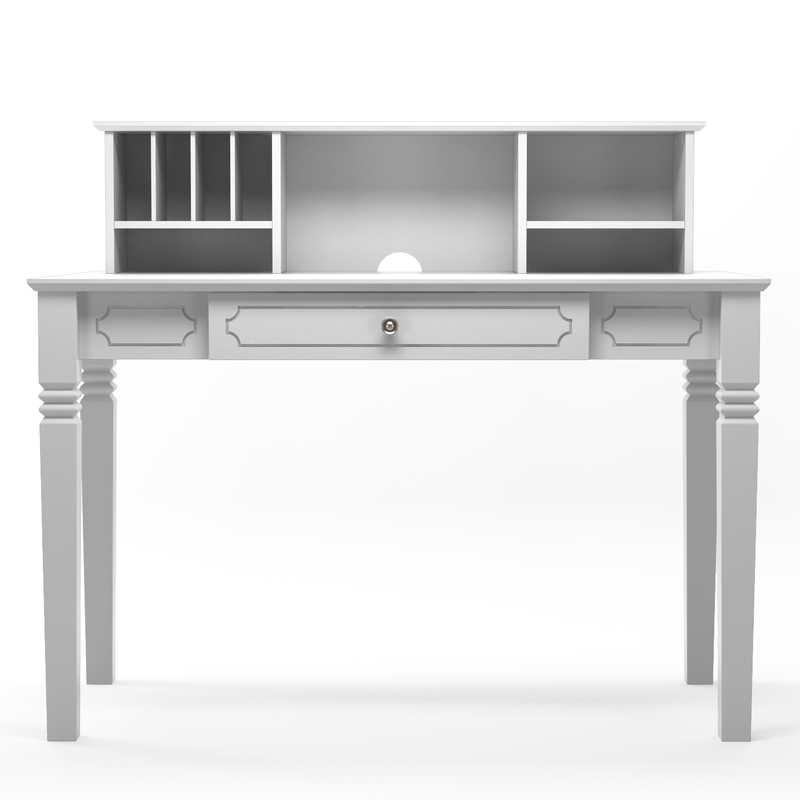 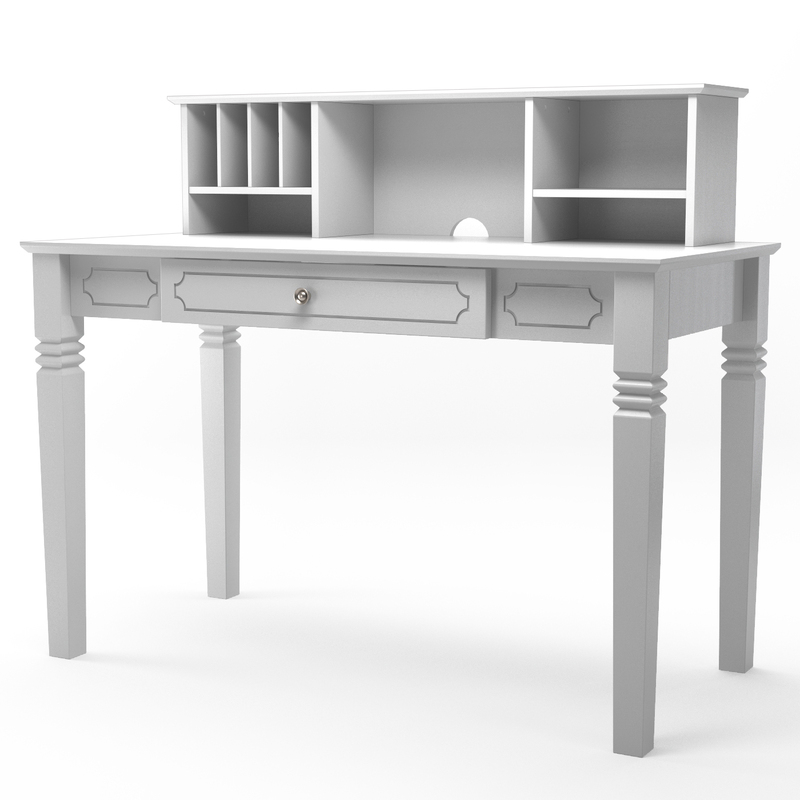 Constructed from high-grade MDF with a beautiful white painted finish, this desk is both stylish and sturdy. 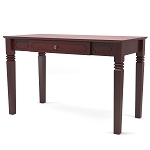 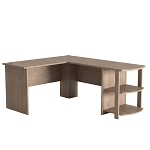 Includes drop-down keyboard tray and features intricate leg scroll-work with a look that is both attractive and simple. 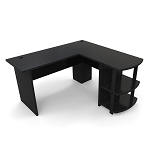 Hutch provides various slots for storage and cable opening for a tidy appearance.